If you have extra time and want to add even more flavor, try caramelizing the onions first by adding a Tbsp of butter with the oil and cooking the onions slowly for 20 to 30 minutes. 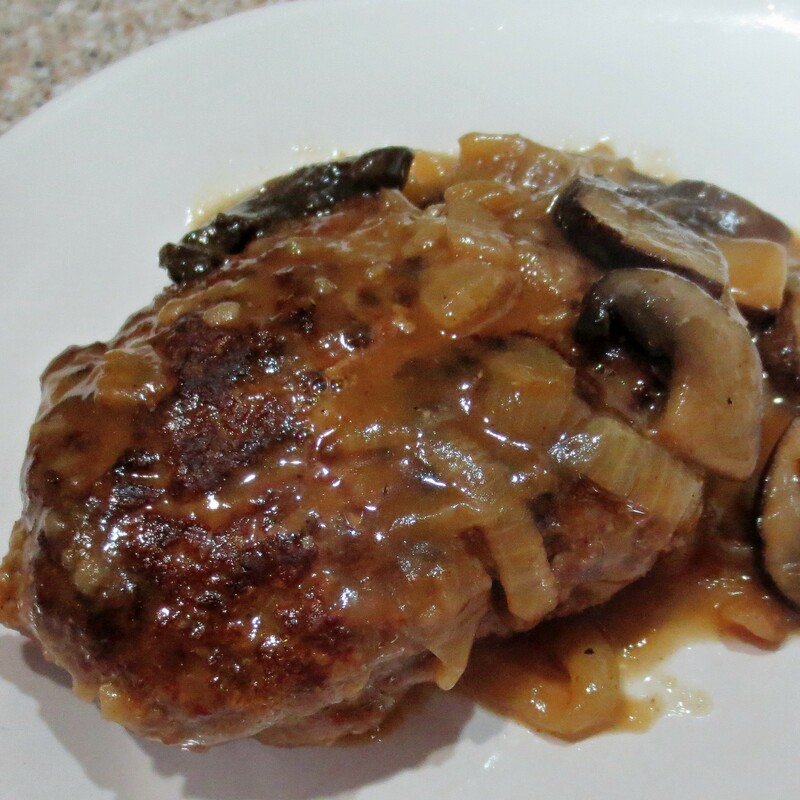 Remove them with a slotted spoon before cooking the patties and return with the mushrooms.If you choose not to cook all 6 patties at once, they may be frozen. Make the full recipe of gravy and save part in a separate freezer container. 1. In a large bowl beat the egg. Stir in the onion soup mix, bread crumbs, granulated garlic and pepper. Let stand a couple of minutes, then gently mix in the ground beef. Shape into six oval patties. 2. In a large covered skillet, heat the olive oil to film the pan. Brown the patties over medium heat for 3 to 4 minutes per side. Remove and set aside. 3. Add the onions and mushrooms to the pan and cook until beginning to soften. 4. Stir the flour into the onion mixture. Cook a couple of minutes to incorporate the flour, stirring often. 5. Add the beef stock, ketchup, Worcestershire, and mustard to the skillet. Scrape up the browned bits on the bottom and bring to a boil. 3. Return the patties to the skillet. Reduce the heat, cover and simmer for another 15 minutes.